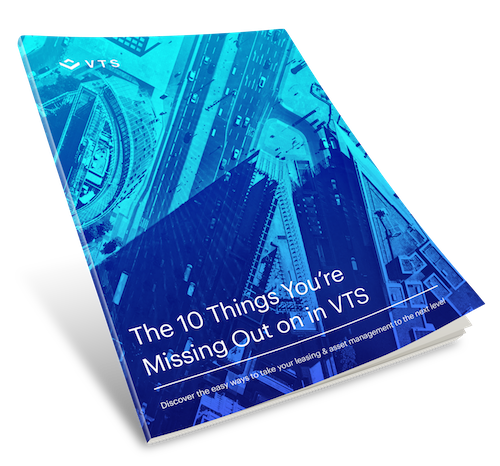 You’ve mastered the core functionality of VTS – you’ve eliminated manual processes, are levering real-time data and analytics, and have stronger tenant relationships. Now, it’s time to take your leasing and asset management to the next level. What features are the best-in-class firms using to get the most value out of VTS? Want to see these features in action? Watch our on-demand webinar for a detailed walk through of how to take your use of VTS to the next level. Yes! Send me emails on VTS products, exclusive content, and events.